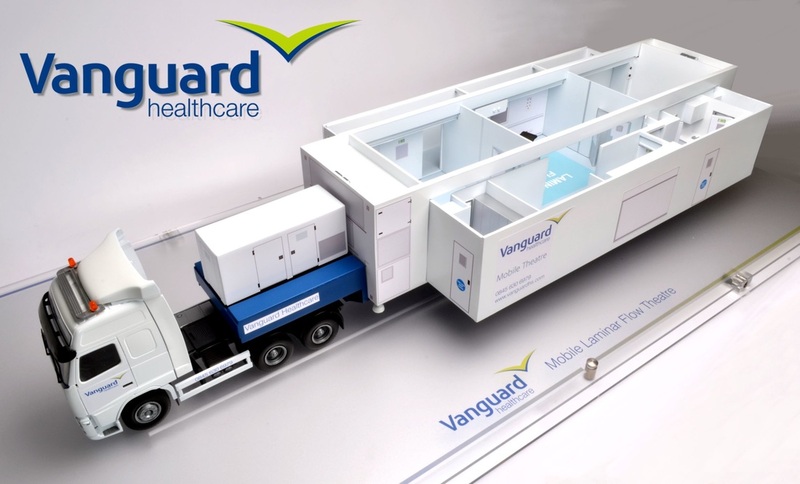 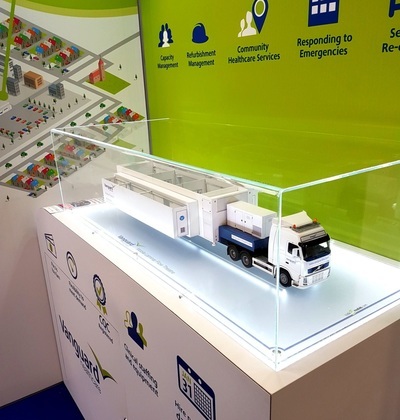 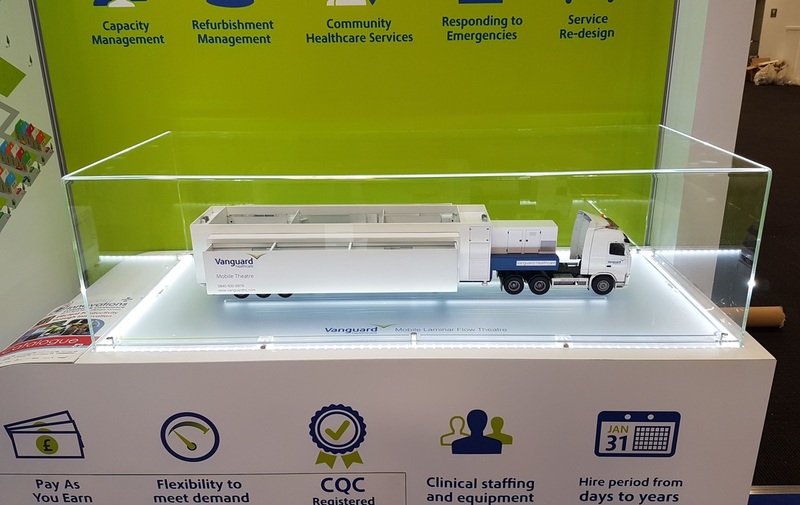 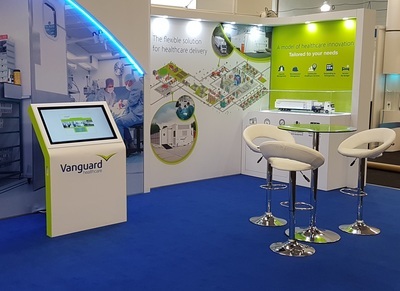 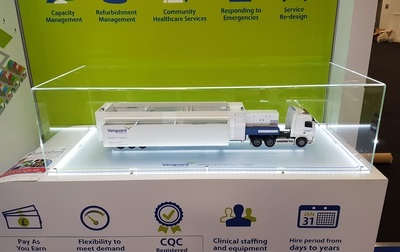 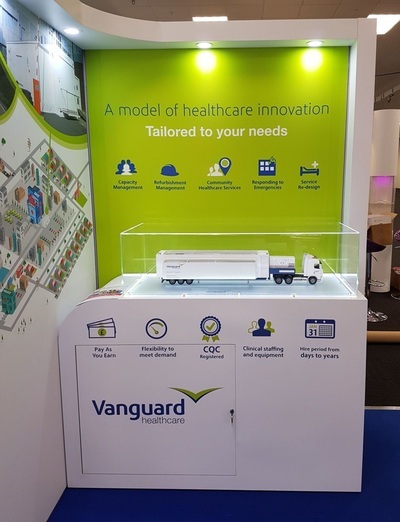 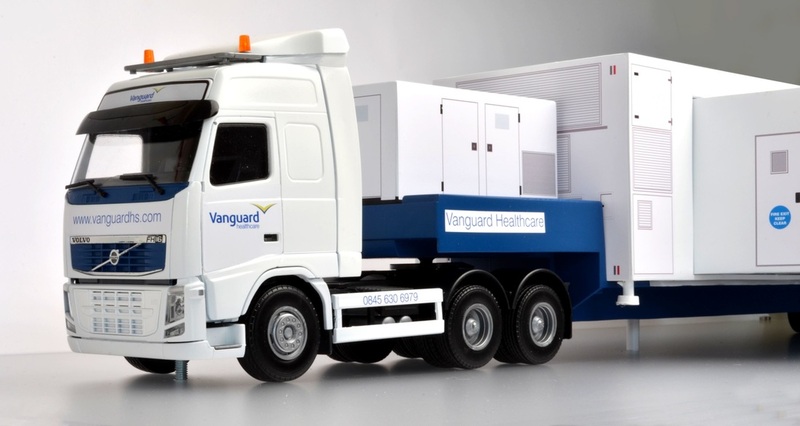 This large scale model was made for the Vanguards team to demonstrate it's transport configuration at trade shows. 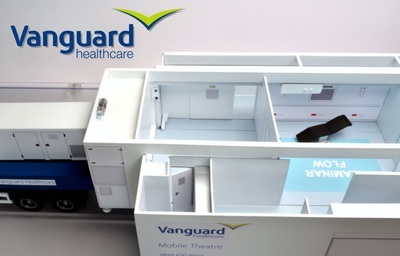 Model was made with extendable legs, side walls and walkways and operating theatre furniture. 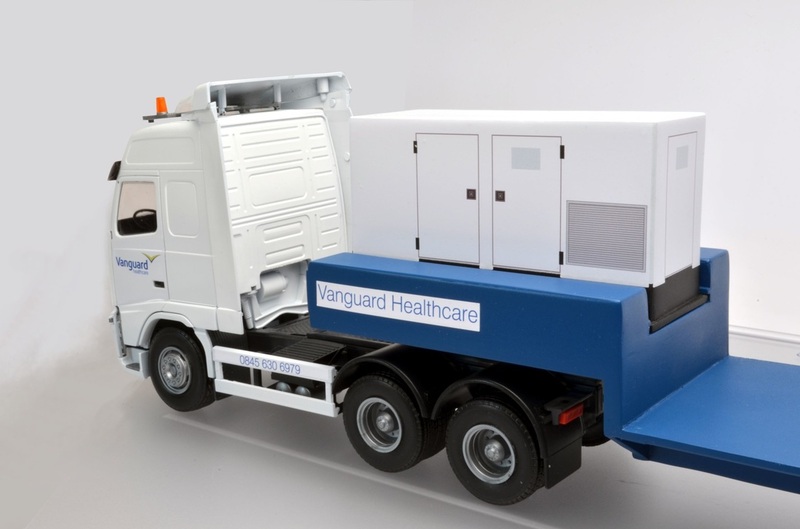 The operating theatre section was engineered to fold away neatly into the confines of the truck footprint as per the rear vehicle. The finished model was fixed to a very large custom made acrylic case with branded base label.